Black women today are well past making waves – we’re currently creating something of a tsunami. Women who look like us, grew up in similar places to us, talk like us, are shaping almost every sector of society. From education to work to dating, this inspirational, honest and provocative book recognises and celebrates the strides black women have already made, while providing practical advice for those who want to do the same and forge a better, visible future. 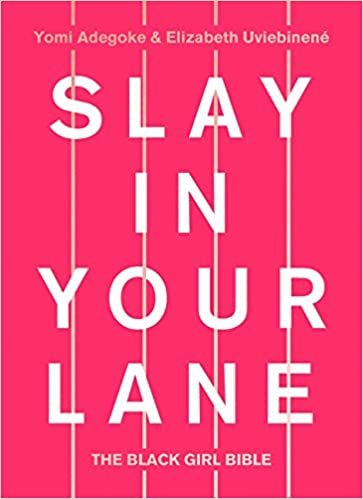 Illustrated with stories from best friends Elizabeth Uviebinené and Yomi Adegoke’s own lives, and using interviews with dozens of the most successful black women in Britain – including BAFTA Award-winning director Amma Asante, British Vogue publisher Vanessa Kingori and Olympic gold medallist Denise Lewis – Slay In Your Lane is essential reading for a generation of black women inspired to find success in every area of their lives.